A reminder about the ‘Woodlands Project 2’ meeting this Wednesday 16th April at the Village Hall. 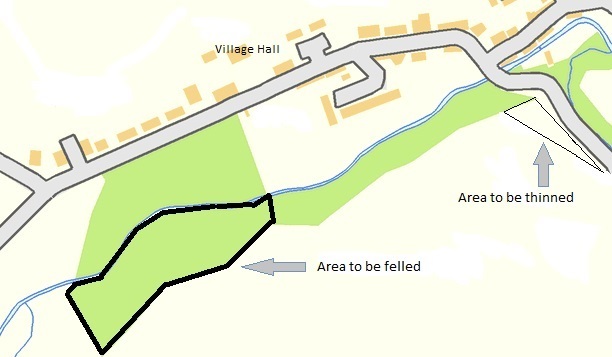 Drop in any time between 6.30 and 7.30pm to give your feedback on the proposal to remove the remaining conifers on the south bank of the Papana Burn at the West end of the village and also to thin out the trees overlooking the road bridge. This entry was posted in Community Council on April 14, 2014 by Admin.